Commander-in-Chief of Defence Services Senior General Min Aung Hlaing who is on a goodwill visit to the People’s Republic of China was accorded a guard-of-honour-welcome by member of the Central Military Commission of China and Chief of the Joint Staff Department of the People’s Liberation Army (PLA) Gen. Li Zuocheng at Ba Yi Hall in Beijing this afternoon. 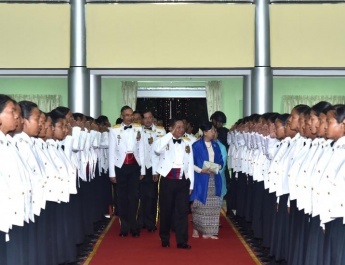 Present at the welcoming ceremony together with the Senior General were senior military officers of the Office of the Commander-in-Chief, Myanmar Ambassador to China U Thit Linn Ohn, and Myanmar Military Attaché (Army, Navy and Air) Brig-Gen Tint Hsan. Gen. Li Zuocheng was accompanied by senior military officers of the People’s Liberation Army. 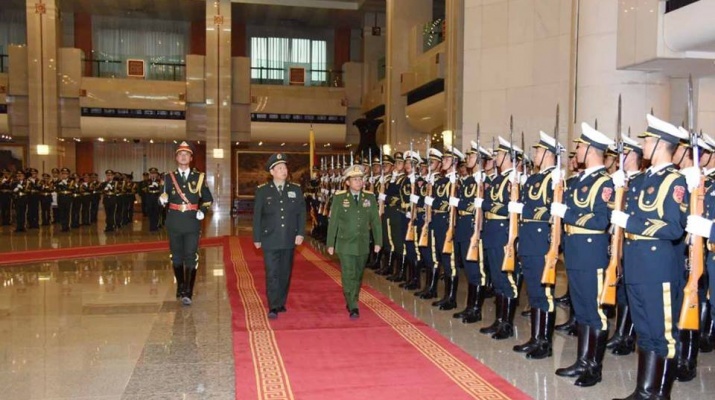 Senior General Min Aung Hlaing was greeted by Gen. Li Zuocheng on arrival at the venue, followed by the bilateral introduction of senior military officers of both sides. 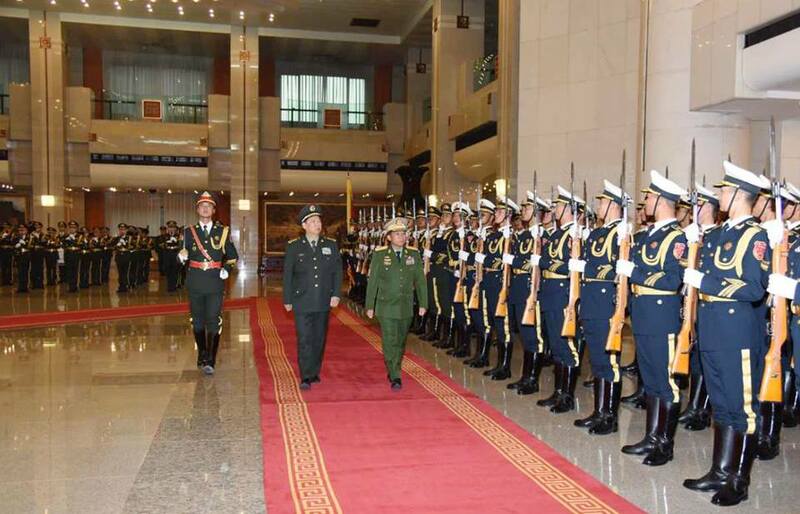 The Senior General took the salute of the Guard of Honour, and then inspected it together with Gen. Li Zuocheng. 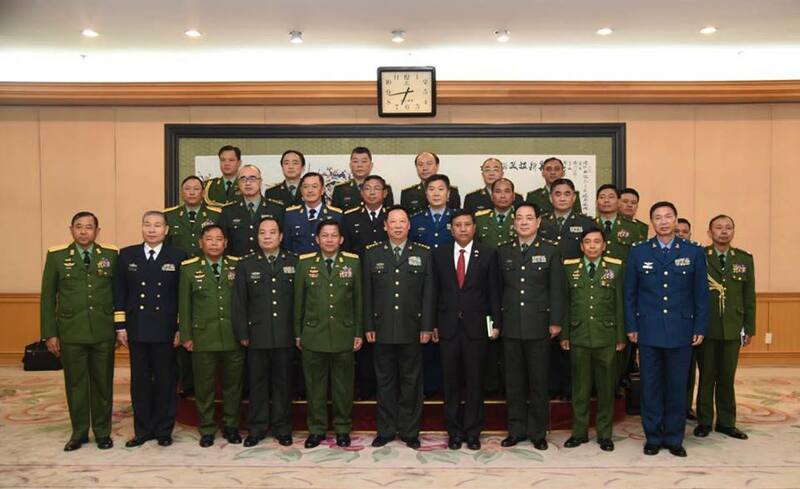 Later, Senior General Min Aung Hlaing and Gen. Li Zuocheng held talks at the meeting room of the Ba Yi Hall. 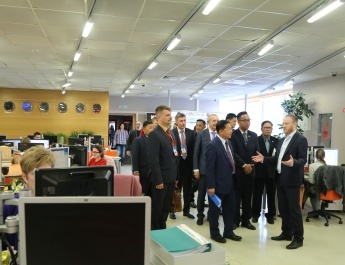 At the meeting, Senior General Min Aung Hlaing expressed thanks for the invitation to the goodwill visit. The Senior General said Myanmar and China are old friends enjoying fraternal relations since yore. The two countries have a similar culture. The meeting will lead to further enhancing bilateral military relations which will be much beneficial to peace and stability at the border area and internal peace. The Senior General expressed sincere thanks to China for support of Myanmar in the Rakhine State issue in the international arena. In his discussion, Gen. Li Zuocheng said the two countries share territorial land and waters, while the two peoples have the amicable relationship. Such relations between the two armed forces would further promote the friendship and cooperation. China provided assistance for Myanmar in its internal peace process and in times of natural disasters, and the assistance will continue. The close relations at various levels could help solve the border-related problems as much as possible. China also thanked Myanmar for its support in the South China Sea issue. 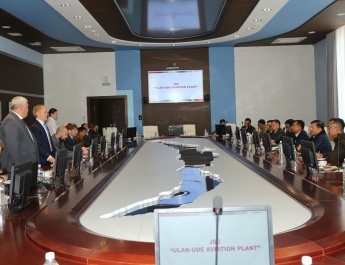 They then cordially exchanged views on cooperation between the two armed forces in the areas of training, health, education and sports, bilateral cooperation in anti-terrorism and border stability and promotion of cooperation in enhancement of friendly relations between the two armed forces by exchanging military cultural troupes. The Senior General and Gen. Li Zuocheng posed for documentary photo together with the senior military officers from both sides. 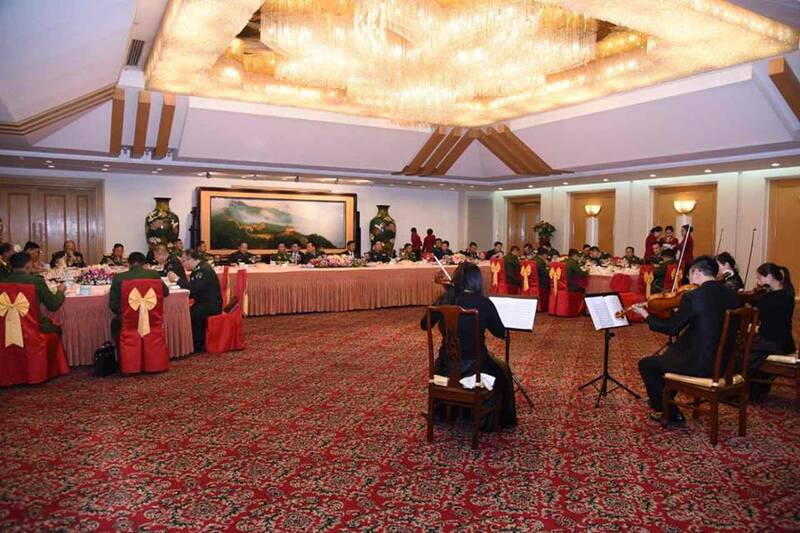 In the evening, Gen. Li Zuocheng hosted a dinner in honour of the Myanmar Tatmadaw goodwill delegation led by Senior General Min Aung Hlaing.